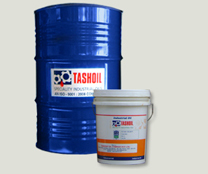 Marine Oils-Stern 220 :: Tashoil Company Pvt. Ltd.
"Tashoil" innovative Marine 220 Oil are manufactured from carefully selected hydorfinished base Oils and by blending with detergent, antiwear dispersant and V.I.Imrpover additives giving excellent oxidation stability characteristics, making it suitable for use in medium and high speed marine engines and stationery DG Sets. On the field experiments and on intensive ageing tests, it has been found to be superior in the areas on better TBN values, dispersancy, antiwear protection, engine cleanliness, oxidation stability, water repellency, etc. characteristics, in comparison to other conventional API CD level Oil.